Built in 1858, this stately Italianate style home preserves a bygone era, yet it can provide a timeless backdrop to make new memories. 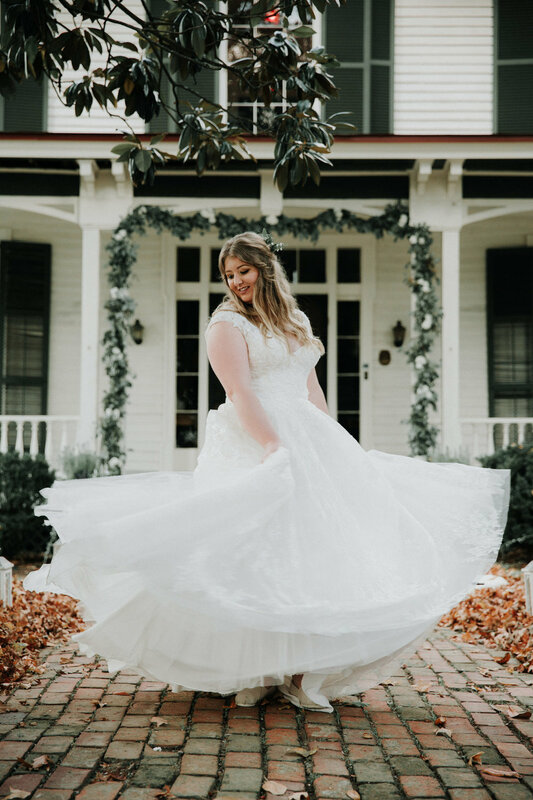 Located just east of downtown Knoxville, Mabry's Hill offers a beautiful setting for any occasion and has easy access to I-40. Situated on the highest hill just north of the Tennessee River, Mabry's Hill gives gorgeous views of the Great Smokey Mountains to south and the skyline of Knoxville to the west. With over seven acres, Mabry-Hazen House is mostly an outdoor venue and offers a hidden green space on the outskirts of the downtown environment. Mabry's Hill is designated as Level 1 arboretum with thirty-two different species of trees located on the property. In addition to the historic home and grounds, a 1924 Arts and Crafts style guest house and gazebo are located on the property and are included in any rental. We rent our facilities for a variety of functions including weddings, teas, and parties, and can accommodate up to approximately 250 people. Rates vary depending on the day of the week and size of the function. We work directly with All Occasions Party Rentals for our equipment needs. All proceeds from rentals go towards the ongoing preservation of the historic site and the development of new educational and cultural programming. Please contact the Director via e-mail for pricing and availability. Mabry's Hill creates a beautiful setting year round for photography shoots. The grounds are open for public use from sunrise to sunset, but we encourage a $20 donation for its one-time use by professional photographers. The donation includes use of the entire outside campus and the option of taking photographs on the historic staircase. Interior photography sessions must be coordinated with the director. $20 - Suggested donation for a small one-time photo shoot.